"Prime Minister Modi of India is a friend of mine, he (Trump) said. I like him very much," Trump is quoted as saying by renowned journalist Woodward in his book Fear: Trump in the White House, which has portrayed a dysfunctional Trump administration. 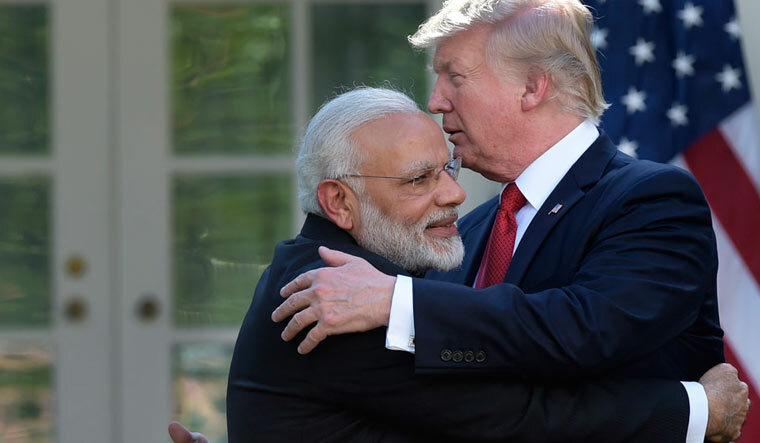 According to Woodward, Trump made this comment about Modi during a Situation Room meeting in the White House on July 19 last year, nearly three weeks after he had a very successful meeting with Modi at the White House on June 26. "He (Modi) told me the US has gotten nothing out of Afghanistan. Nothing. Afghanistan has massive mineral wealth. We don't take it like others—like China," Trump is quoted as saying during the July 19 situation room meeting. "The US needed to get some of Afghanistan's valuable minerals in exchange for any support. I'm not making a deal on anything until we get minerals. And the US 'must stop payments to Pakistan until they cooperate'," Trump said. Six months later, Trump in a New Year tweet on January 1 announced an end to all military aid to Pakistan, arguing that it is not taking action against terrorist groups operating from its soil. Trump told his national security aide that the US is losing in Afghanistan. "'We're losing big in Afghanistan. It's a disaster. Our allies aren't helping. Ghost soldiers—those paid but not serving—are ripping us off. NATO is a disaster and a waste,' he said. The soldiers had told him that NATO staff were totally dysfunctional," the book says. “Trump refused to send any additional aid. The Afghan leaders were corrupt and making money off the US,” Woodward writes in the book. The White House has described the book as "reckless" and a work of fiction, with Trump calling it a "joke".